As the business landscape becomes increasingly more complex, business decisions makers not only want to but also need to know more about their business, customers and competitors to compete effectively – and they need this information almost instantly. However, with an ever changing economic and technological environment, it is often difficult to forecast business prosperity with segmented information – as it is only good quality and timely information that can guide a business clearly in its strategy. It is with this in mind that we are reminded of the real-time value of Business Intelligence, which in my opinion is one of the justifications of BI in its own right. There is no denying the fact that businesses today understand the need for decisions grounded on well-substantiated information. Where previously organisations worried about the size of their data warehouses, today, with the amount of information available, they rather need to focus on the quality and timeliness of the information being derived – not the quantity. However, if we examine the statistics*, which report that the average company sees a 41% year-over-year increase in data volume, I find myself asking the question of whether achieving real-time BI is possible? As you read this, you are likely thinking to yourself: of course it’s possible, and you are thinking as a BI expert I should know this. 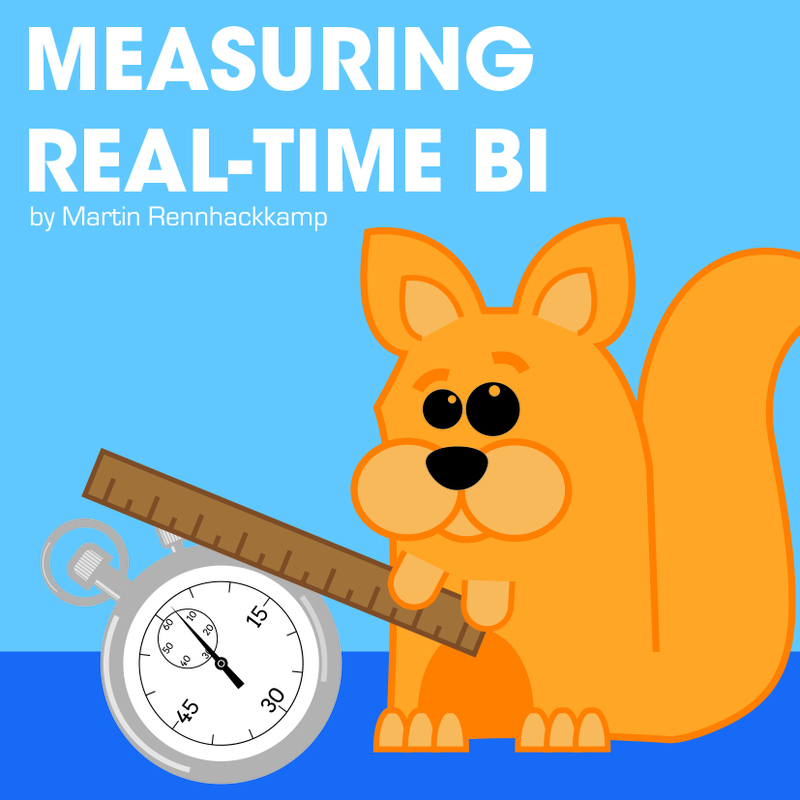 Yes, it is possible, however today often real-time BI is not achieved as its core value is not necessarily understood and therefore the processes required to achieve real-time BI are not being implemented – resulting in slow decision making. You see, it is only when organisations start paying attention to how long it takes ‘from when an event happens, to when the information about that event has been collected, integrated and re-disseminated’ (which is one set of measures on its own), will the business be able to assess whether they can pro-actively or correctively react to events within a timeframe that can have substantial/sufficient business benefit (another set of measures). 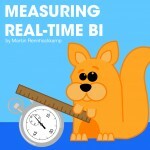 While researching the topic further, I came across a recommendation, suggested by the Aberdeen Group, to achieving real-time BI, that I certainly agree with, as not only do these steps make sense, but they provide an outcome of quicker decision making on well substantiated information – the whole point of the real-time BI exercise. And so I wanted to focus on their first suggested recommendation to start measuring time-to-information. This measure indicates that when it comes to analyzing business data, the ‘time’ factor is of critical importance, because if the information gathered is not delivered to the intended user on time, correct action cannot be taken – and the exercise was useless. Therefore, it is becoming crucial for businesses to create a process whereby time-to-information is measured – as through this more insight can be delivered within the required window period – and thus more business opportunities can develop. While this is merely a single ‘measure’, it is one that I believe warrants strong attention with a business’s BI capability. Getting this ‘first’ measure right is the start to truly achieving real-time BI within an organisation. Watch this space for further insights into the steps to achieve real-time BI in an organisation. I think that real time BI should be applied to aspects of the business that require real time view of information. Often the concept is applied to the entire operation. Hi Nitesh, thank you for the comment. That makes perfect sense – it doesn’t help anyone to bring a monthly payments batch run into the data warehouse in real time, but point of sales data and call centre interactions on the other hand would make perfect sense. So I would agree with you – one has to analyse and evaluate the real-time requirements each on a case by case basis.